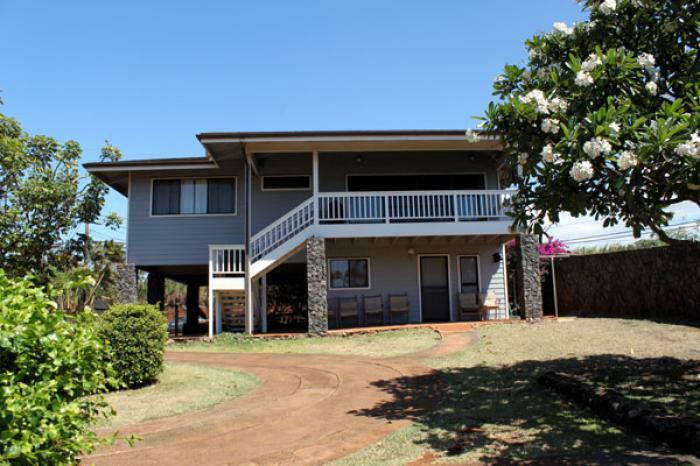 Lovely 2 bedroom and 3 bath home on an oceanfront property between Paia town and Ho'okipa Beach Park. Living room, deck and master bedroom offer a breathtaking ocean view and the garden invites for relaxing in the sun and listening to the ocean. A second oceanfront house (Hale Hookipa Cottage) on the property is available for rent as well. It features 2 bedroom/2 bath. The ocean front garden is available for both homes. The historic town "Paia" with gourmet restaurants and shops and the large white sand "Baldwin Beach Park" are just minutes away by car. A perfect family vacation home. Comment: This house is located on a two lane road and some road noise has to be expected.